A new generation of generator is now available equipped with temperature sensor. THERMOCOAX provides on the market this new generation of temperature sensor for the monitoring the bearing temperature. The high speed running of the alternator is a key component for the electrical power system on aircraft. The temperature sensor makes it safe. To provide a temperature sensor powerful enough and highly integrable, we design the temperature sensor like a screw equipped with mineral insulated cable for the temperature sensor signal transmission. We have experience in temperature sensors B787, A380 and A400M. We are succesfull, because THERMOCOAX has a single cable manufacturing process based on the secret of our procedures. This fact makes our cable exceptionnal on the market and offers robusnet and flexibility to our temperature sensors. 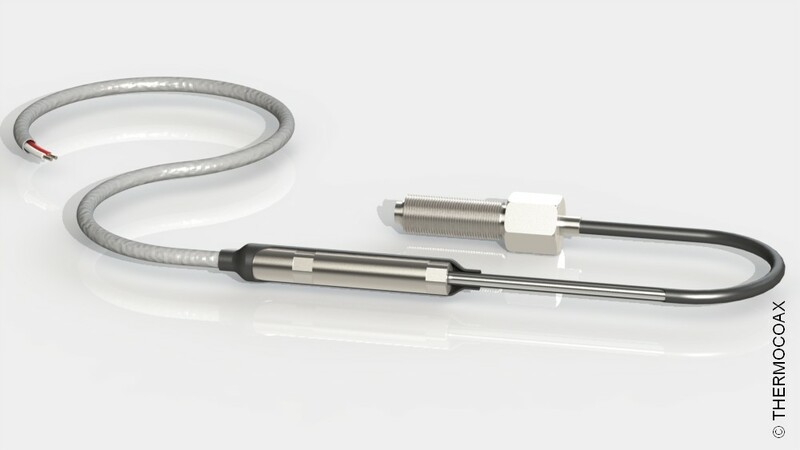 All temperature sensors are a mechanically mounted and closed by welding operations. We are staffed with highly qualified operators in laser welding, brazing… our welding machines, as rotary welding machine, offer large ranges of possibilities, from few millimiters up to several centimeters for the product dimensions. We design, develop, qualifiy up to the MRR to be ready for the production. We are using Final element method and HALT test, to evaluate our design and secure the final product design and the SOF and certification qualification. We are writing the qualification test program and working with our customer through project management program we have implement from few years already.